Our mother-daughter duo designer team offers our clients quality a quality custom tailoring service available by, Pari, our experienced tailor with more than 40 years experience in the profession. Combined with Golnesa’s creative and contemporary vision, this mother-daughter duo showcase couture designs that manifest timeless elegance. Pari has crafted a discerning eye for fashion through years and years of being in the industry. 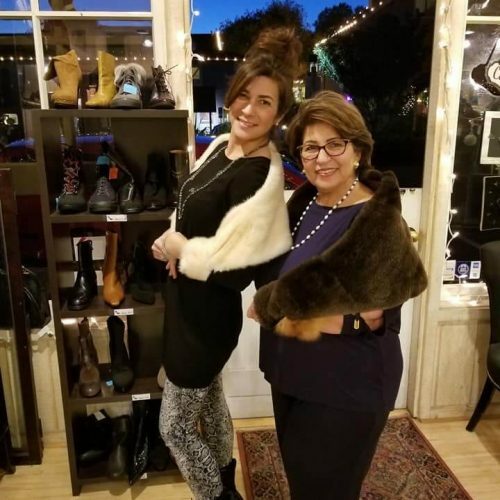 She owned and operated Pari’s Boutique and Alteration in Pacific Grove for over 20 years, before moving onto this new chapter with her daughter. Clients appreciate and admire her attention to detail and authentic sense of style she provides. She specializes in furs, custom designs, wedding gowns and men’s suits. While her availability is limited, she makes time for clients on an appointment basis.